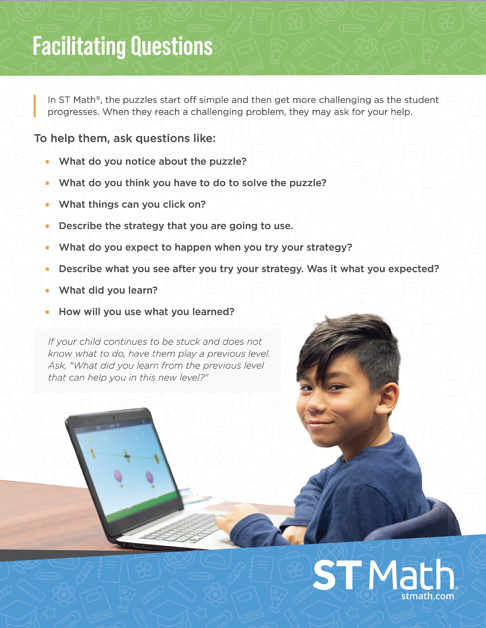 Resources to help your child succeed in math. Helping your child with math starts with thinking about math in a different way. Research shows that memorizing all the different ways to solve math problems isn't enough for long-term success. But, by working through challenging problems to build a deep understanding of how math concepts work, all children are capable of succeeding in math. Here are some resources you can use to help your child develop creative and rigorous problem solving skills that support deeper learning. 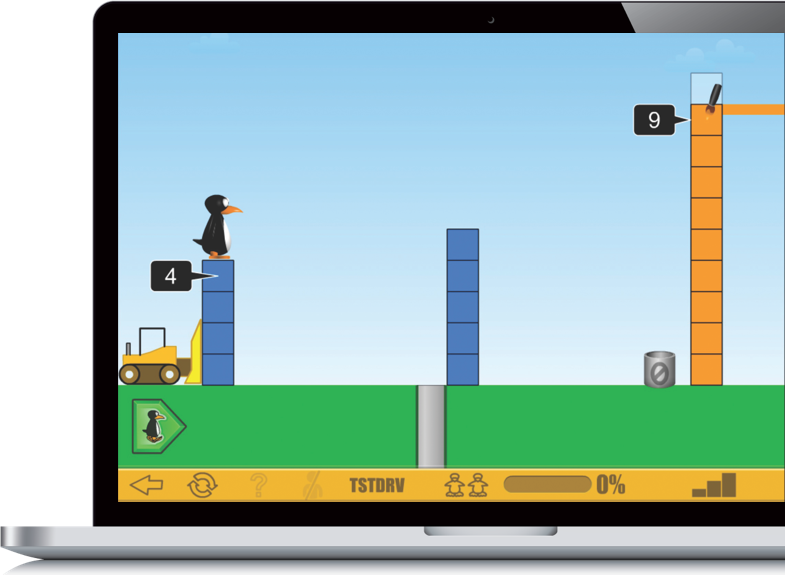 ST Math is a visual instructional program that engages students in creative and rigorous problem solving, allowing them to see the math and grow. Do your children use ST Math? We recommend watching the introduction video and playing a few sample games first. Then check out our parent resources below to learn how you can help guide your student through the program. In ST Math, the puzzles start off simple and then get more challenging as the student progresses. When they reach a challenging problem, they may ask for your help. You may be tempted to give your child the answer. But research shows that's not the best way to learn! Instead, help them become self-sufficient problem solvers by asking the following questions. What do you notice about the puzzle? What can you do to get JiJi across the screen? What question is this puzzle asking? Describe the strategy that you are going to use. Describe what you see after you click. What did you learn? What will you do now? What do you expect to see? What did you learn from the previous level that can help you here? You may need to ask these questions several times to help your child think through the math in the game. Encourage your child to take risks and ask them to explain what they learn from the wrong answer.